I had been a 1911a1 man all of my life and had no desire to utilize a “plastic” gun or anything less that .45acp. I remember the hoopla of the ant-gun press and the paranoia of liberal muffin politicians about how the plastic gun could be smuggled through airport security, blah, blah. Then in 1988 I was assigned to the US Army Marksmanship Training Unit #6 at Ft. Ord California. We had jus gotten back from shooting the National Matches at Camp Perry Ohio when I was able to convince my unit to allow 4 of us to go permissive temporary duty to compete in the Soldier of Fortune match in Las Vegas. They used to put on a fantastic firepower demonstration and I made sure I had a front row seat. The Glock representative came out to do a demonstration and pointed at me and asked if I would like to help. Sure. So in front of this huge crowd he handed me a cleared Glock 17 and told me I had one minute to do anything to it I wanted. “Anything?” I asked. “Anything” he replied. I threw it up in the air, threw it as hard as I could on the ground, jumped up and down on it, kicked it towards down range ect, for one minute. I then handed it back to him and while I stood there sweating, he blew down the barrel, inserted a 17rd magazine and shot 17 rounds down range without a malfunction. I was impressed. So was the crowd. My team mates and I won Glock pistols, mine being a Glock 19, which I tossed in my bag and we went back home. I took it out on the range, test fired it, kinda liked the way it felt. But it was still “plastic”. I ended up selling it to a Navy guy who was headed “over there “and forgot about plastic pistols. Fast forward to 2005 and I am a contract security supervisor at the United States Embassy in Kabul Afghanistan and since Glock 19 was State Department issue I was going to carry the “plastic” pistol like it or not. When we went out to qualify, I maxed the DOS pistol qualification and it was lust at first bite. I carried that Glock 19 for two years and never had a malfunction with it. The first thing I did when I got back to the States was buy a Gen3 Glock 19 and it has been my primary carry gun ever since. I shoot it a LOT, and have only had one malfunction with it and that was with a brand new 33rd magazine, “happy stick” that I had one failure to completely chamber, and a quick slap on the back of the slide solved that. That mag has never malfunctioned since then. Gaston Glock, the firearm’s designer, had no experience designing firearms but a lot in dealing with polymers and in an Austrian Army pistol bid in 1982, which he won with his original Glock 17. The rest is history. Glock describes their pistol action as the Glock Safe Action. It uses an internal striker and no exterior hammer. In actuality, it is a double action only semi automatic but since the trigger only has to pull the striker back a small distance it actually feels like a single action. It is estimated that 65% of U.S. Law enforcement agencies carry Glocks, and they are carried by a sizable number of the world’s armies. 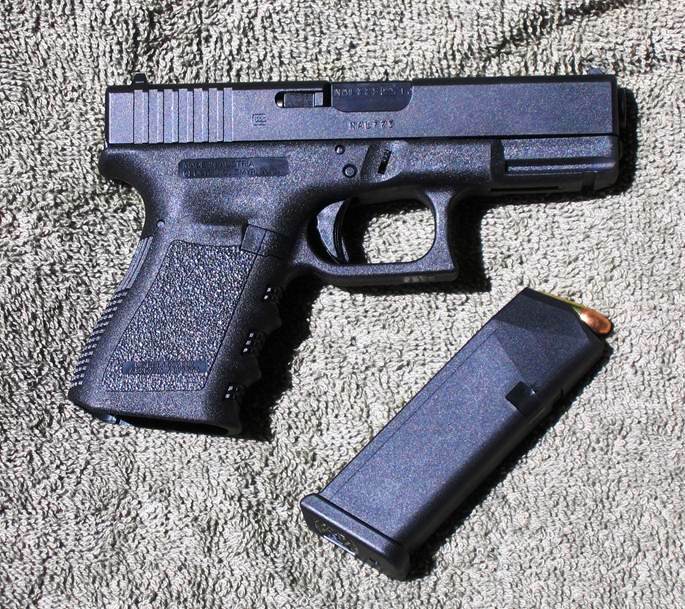 Glock makes a large variety of handgun models in different calibers. You can review them on their website by clicking the link, and I am sure they have a model and caliber to fit any need. As the Glock 19 is the model I am most familiar with, my discussion will be primarily from my experience with it. I also highly recommend it for the first time defensive pistol buyer and the serious prepper for every day street and field carry. I have a fundamental set of criteria I use to select or recommend any handgun for serious defensive use. Reliability= THE most important factor in a defensive handgun. If your custom combat highly tuned multiple bolt on widget bullet launcher fails to go bang when you need it to, then the guy that kills you gets to make off with an expensive dysfunctional piece of metal. Highly visible sights= They don’t necessarily have to be luminous but I have to be able to get a good flash sight picture in a hurry. If you want to know what BAD sights are, try looking at the ones on a WW2 G.I. issue .45 in dim light. You will see what I mean. Simplicity= It should be easy to disassemble into major components and clean without lots of little parts to lose in the carpet or sand dune. Durability= It has to be rugged enough to withstand serious abuse under difficult conditions and continue to function. Availability of needed after market accessories= I need to be able to procure needed holsters, extra magazines, ect. without having to send off to Lower Slobovia. A satisfactory caliber with quality defensive loads available= Self explanatory. Accuracy= I should easily be able to keep all shots in the chest area at 50 yards. O.K. So how does my Glock 19 stack up against the above? Reliability= I already described the abuse I gave a Glock 17 at the SOF convention in Vegas, plus the amazing reliability I have experienced with mine for the last 5 years. I think it was Gabe Suarez who coined the comment that the Glock was the AK of the pistol world, but whoever it was, they hit the nail on the proverbial head. ( For those who may not know, Gabe Suarez is one of the world’s premier small arms instructors and has been for years. 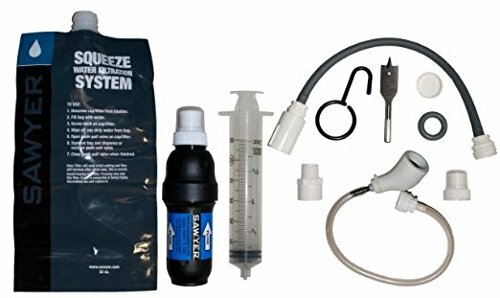 I highly recommend his products and programs). 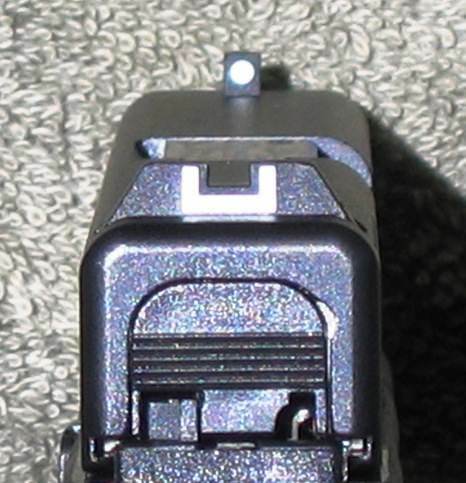 One of the secrets to Glock reliability is their magazines, they are extremely well designed and manufactured. High Visibility Sights= Glock factory sights are well proportioned and outlined in white. There are a number of aftermarket sights available including Trijicon’s well known line. Simplicity= The Glock is simplicity itself. No bells, whistles, external hammers or safeties. The safety is a bar on the trigger and the pistol breaks down in four components easily and quickly. The Glock is very easy to clean compared to many other handguns. And there are no small parts to loose. It is frame, slide, barrel and recoil spring assembly. Durability= The frame is made from Polymer 2 which is water proof and corrosion resistant. The slide is machined from a block of solid steel and is coated with a process called Tenifer which is more corrosion resistant than stainless steel. Availability of needed after market accessories= There are a tremendous number of aftermarket parts and products for the Glock. Glockmeister is a good source. All of the major holster manufacturers offer models in leather and Kydex for Glocks. A satisfactory caliber with quality defensive loads available= Glocks are offered in all the major defensive calibers which have modern defensive loads available. Accuracy= I am easily able to keep all shots in the chest area at 50 yards. So there it is. There are a lot of quality handguns on the market that would fit my criteria, and if you have one, go with it. But if you are a first time or new handgun buyer give Glock a try. You can’t go wrong with it. 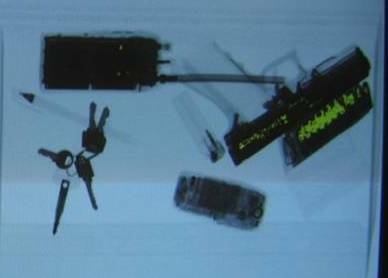 Oh, also, just in case any Liberal Muffins accidentally dropped by and still think “plastic” pistols can be smuggled through x-ray machines, check out the picture below. That is my issue Glock 19 being x-rayed by the machine at the entrance to the Embassy in Kabul. You can easily see the slide and even the outline of the ‘plastic” frame. The large yellow dots are the lead cores of the rounds in the magazine. As long as wars are fought using “geneva conventions” wider will almost always be better as far as caliber is concerned and because the glock in .45 acp wasnt available and Beretta greased the right palms…what is used in mil service is what us used. .357 sig is a better preformer overall, simply far more expensive and not in broad or even partially common circulation – the .380 is anemic and most defensive encounters from mid 90’s through 2012 stats show multiple attackers involved in higher percentage of attacks. Hence, a glock 19/17 – xd (or personally a CZ in 9×19) or even the new Turkish Canik tp55 etc will be better firearms for beginners through professionals simply based on the facts alone. Eh, personally, my entire family (wife, son 13, daughter 6, self) love the 19 and as an instructor when asked, I highly recommend the above. Because my beginner and intermediate courses all begin with weapon familiarization drills people quickly see the benefit in a firearm that only needs a “tap, rack, fire” or max tap rack rack rack fire approach that you will NOT get with roller guns or other semi autos to the same degree. I have personally seen an idiot using poor homeloads squib 4 in a row on a glock…poor glock- but yall, that aint the glocks fault. Having also taught several dozen cops from a variety of departments, my honest opinion is, most cops should not be carrying! I think we can attribute this type of policy to two things. First, except for Spec Ops types, modern Western militaries do not really consider the handgun “important” although that is beginning to change from reports from the field about how much they are actually used. The second I think is the cost replacement factor. Correct me if I am wrong, but I don’t think the HP was actually manufactured in UK arsenals, stocks being issued were from WW2 supplies manufactured by John Inglis Company in Canada. Attrition takes it’s toll, although I am sure the Belgians could easily make replacements cost effectively but the Glock is probably cheaper. The same thing happened with us when we replaced the 1911a1 with the M-9 (Beretta 92) even though Colt offered an upgrade of existing handguns to 9mm, it was just our turn to buy “Italian” in the NATO community. The Beretta is an O.K. pistol in my opinion, but in reality it is nothing more than an Italianized version of the German P-38 with hig cap mags and the dreadful Beretta open top slide. The HP is still an excellent handgun in my book. The only thing I didn’t like was the magazine disconnect safety which is easily removed and most Americans who carry it for defensive purposes do. It’s The Hague Convention that bans he use of expanding ammunition. We never signed/ratified it. Know what I liked about my 1970’s Browning HP. When you hit someone, literally brained someone, they went down and stayed down. One solid piece of metal. The HP was an outstanding success, being one of John Browning’s last designs. The Germans kept it in production during WW2 after they overran Belgium and issued it to Fallschirmjeager (Airborne) and Waffen SS troops. It is still in service with a lot of armies in the world, although I have been told that UK forces are replacing it with the Glock 17. Yep the UK buys anything someone else has. Probably because they don’t want to be seen as being backwards. It’s like the world’s armed forces, most everyone went 5.56 for a personal weapon. The argument being you could carry more ammo. Personally I think it’s because the modern soldier can’t shoot for sh#t. Modern thinking about weapons eludes me. It’ more about what “he’s got” than what worked for years. Browning HP, mag capacity 13 rds. Glock 17, mag capacity 17 rds. The argument being that it “gave you the edge”. Still won’t if you can’t shoot for sh#t. Weight, Glock 17 Loaded: 32.oz. Weight Browning Loaded: 37 oz. Wow, a whole 5 oz. How did the average grunt (me) manage for all those years?